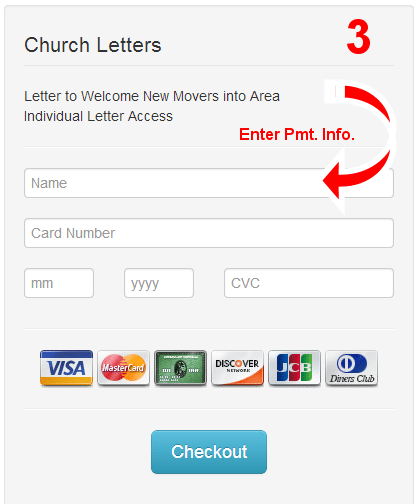 If you are NOT a member, and only need 1 letter at a time, the process to order an individual letter from our site is very simple. Simply browse our site using the category links or search form and find a letter you would be interested in. When you find a letter you would like to order, simply enter your e-mail address in the form provided on the letter “snippet”, click the “buy letter” button and a form will come up to enter the rest of your payment information. Following payment, you will be re-directed to a page which has a receipt as well as your full letter! 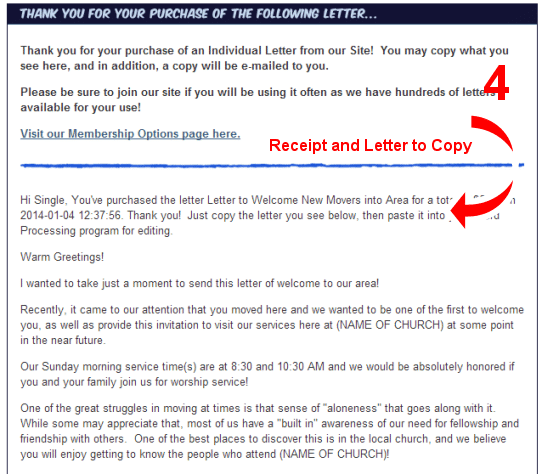 A copy of the receipt and letter will be e-mailed to you too. Note: If you purchased EVERY letter as an Individual Letter, it would cost well in excess of $4000.00! We think you will agree that a Membership is the best way to go! A Platinum Annual Membership figures out to only 16 Cents a Day! 1. 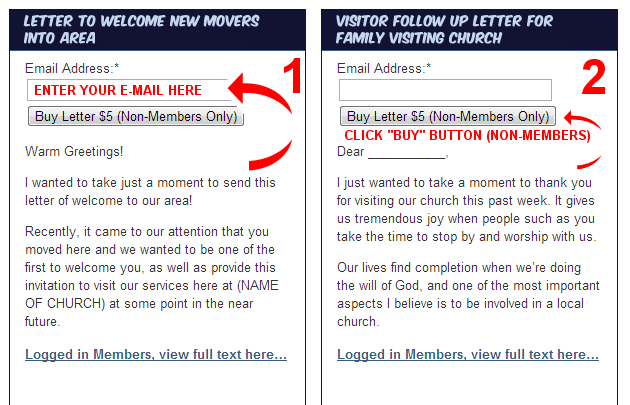 Enter e-mail address in letter you need. 3. Enter Payment information on next page. 4. Receipt and Full Text of Letter to copy. It’s that easy!